Home › Animals › Hide Your Popcorn! In Calico Basin today, I was hanging around waiting for birds and Golden Mantled Ground Squirrels to photograph. Well, only the birds showed up which is odd since a few people were eating under the canopies. A kid was eating popcorn and spilt some on the concrete which prompted a feeding frenzy for my little feathered friends here. 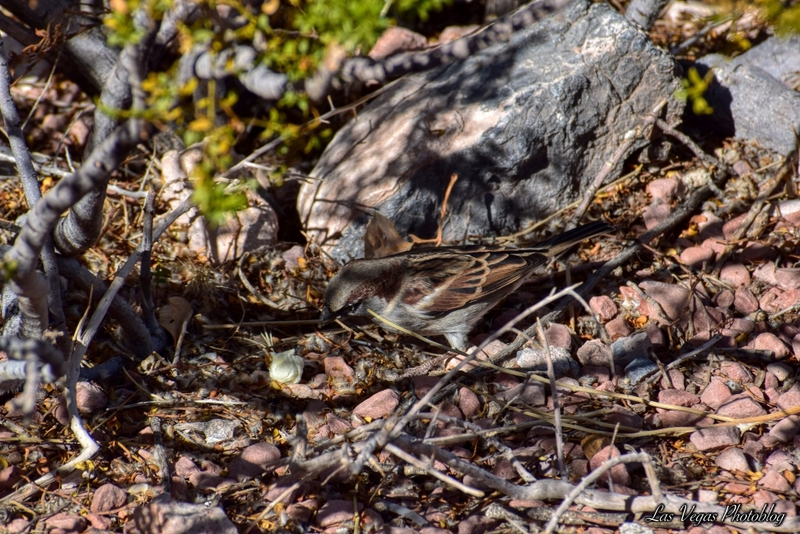 This bird was hiding under a Creosote Bush, happily pecking away at his popping white prize.